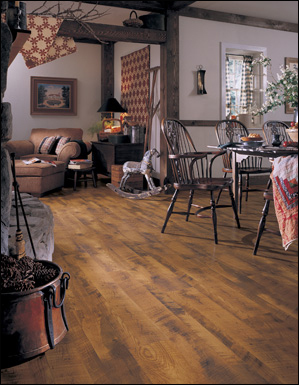 There are many good reasons why laminate flooring is a popular choice in today's homes. Laminate is a manufactured product that simulates the look of hardwood, ceramic tile, natural stone and many other types of flooring. In the past, laminate floors have been easy to spot, but today's technology allows manufacturers to create realistic visuals and textures for an elegant and quality floor. Builder's Carpet & Design center serves McKinney, Tyler and Dallas. Featuring custom design flooring.